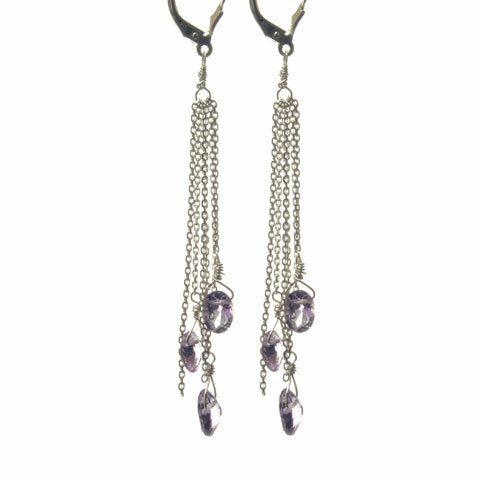 Amethyst ovals suspend from delicate sterling chains and add a bit of color to any outfit. These earrings are perfect for everyday or evening! Secure sterling lever back closure.